The establishment of a new Aboriginal and Torres Strait Islander Working Group. 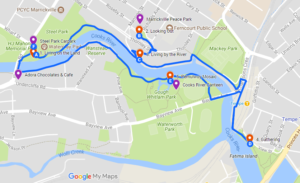 So it appears that Council will await a formal response from the Aboriginal and Torres Strait Islander Working Group to the proposal for a Pemulwuy Cooks River Trail before ultimately deciding on the matter in early to mid 2019. It would be appropriate for the Aboriginal and Torres Strait Islander Working Group to receive a presentation by CRVA on the proposal prior to the matter being formally considered by the Working Group’s members. 1. More details about CRVA’s petition and its covering letter can be found here. 2. 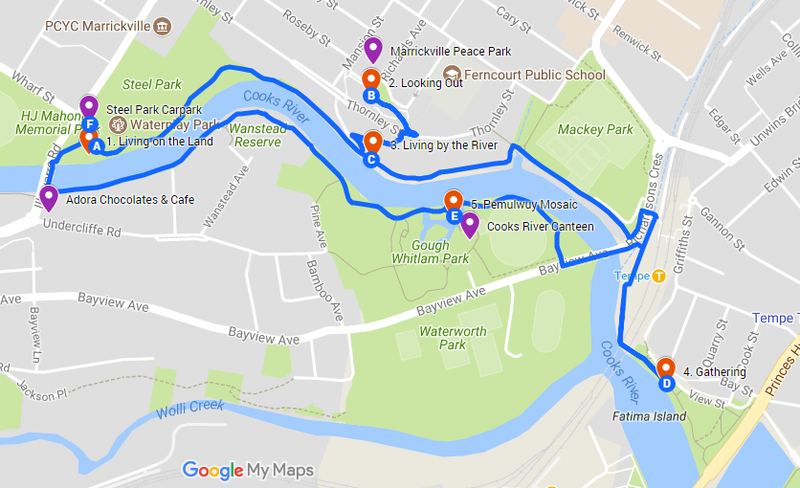 Council’s response to CRVA’s proposal for a Pemulwuy Cooks River Trail can be read here. Permulwuy was the first plaque to be installed on the “Honour Roll For Peace” at the front gates of Addison Road Community Centre in Marrickville. The memorial plaques for individuals and organisations alive or dead, local, national or international, shows peace activists and war resistors nominated by members of the community. The business card size stainless steel plaques are mounted on brass plates fixed to the two stone pillar gates at the entrance to the Community Centre. Anyone can nominate recipients for the honour of inclusion. The cost is $50 for ten words and name and $70 for twenty words and name. The most recent additions on Armistice Day last November 11th 2018 included the late Liz Jackson (ABC journalist), Dennis Walker (poet and Black Resistance leader), John Mandelson (East Timor activist), Gavin Stuart Murray (Melbourne peace activist),E.M.Moore (former WILPF founder), John Dengate (poet, story teller parody expert and Republican), and among those still living John Hallam (Sydney anti-Nuclear weapons campaigner),and many others. 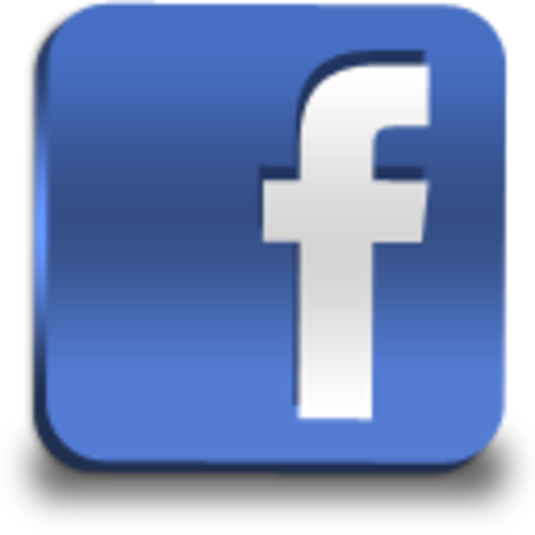 Please contact Mena Bui Jones the Museum Director at ARCCO if you wish to add someone or organization on (02)9569-7633 or . This message is posted by Jefferson Lee Order of Timor-Leste (2015).